Gum disease is one of the biggest causes of tooth loss in the country. The bacteria that are naturally present in your mouth accumulate in the form of plaque, a sticky, colorless film that tends develop along the gumline or between teeth. Plaque irritates the gums and can leave them prone to bleeding. 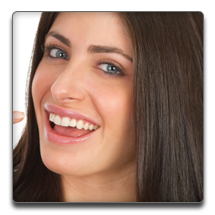 Plaque can be removed through twice daily tooth brushing and daily flossing while regular visits to our dentist in Torrance, CA, can remove any plaque buildup you may have missed during your daily cleaning and check your gums for signs of infection. If plaque is not removed, the bacteria will continue to reproduce. They can infect your gums and cause swelling, redness, irritation and bleeding. If the infection is not treated and controlled at the earliest stages, it can infect the supporting structures of your teeth, which can lead to gum, bone and tooth loss. Gum disease treatments include scaling and root planing, which is essentially a deep cleaning procedure that will remove plaque and tartar buildup from your teeth and below the gumline. Our dentist may also recommend antimicrobial treatments or antibiotics to promote healing. In some cases, surgery may be necessary to reduce the risk of tooth and tissue loss. Avoiding gum disease by maintaining good daily dental hygiene is the best option. Brush after meals or at least twice daily using fluoride toothpaste and a soft-bristled brush. Floss daily. Visit our specialist for periodontal treatments in Torrance every six months for a professional cleaning and dental exam to ensure continued good dental health. Contact us today to learn more or to schedule a consultation.